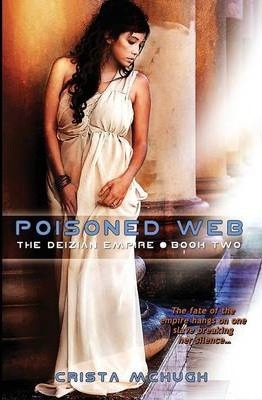 The fate of the empire hangs on one slave breaking her silence... As the Deizian Empire prepares for the upcoming wedding of Emperor Titus Sergius Flavus and Azruha, one mystery remains unsolved-the sudden and unexplained death of the former emperor. And as her wedding gift to Titus, Azurha wants to give him answers. She suspects an unknown poison was involved, and her search for the truth enlists two unlikely allies. Modius Varro's thirst for knowledge caused an uproar in Emona three years ago and exiled him to the border town of Madrena. But when Titus falls victim to the same poison, his expertise in medicine becomes essential in solving both the riddle of the former emperor's death and finding a cure to save the current one. His search leads him to far reaches of the Alpirion realm, to an ancient culture shrouded in secrets, and into the arms of one slave who must break her silence to save the empire.